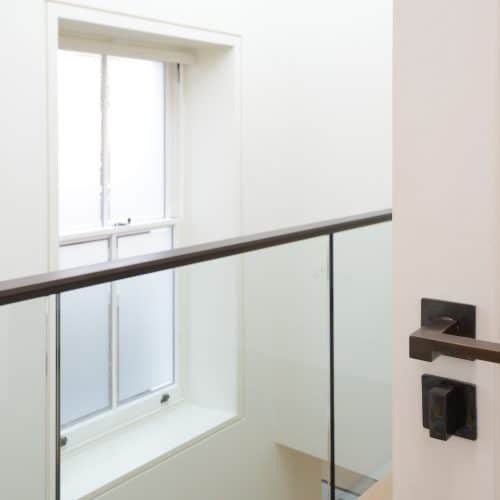 As part of our restoration work on the Old Post Office in Notting Hill, London, we fitted our certified timber fire doors in the interior of this elegant Victorian building. 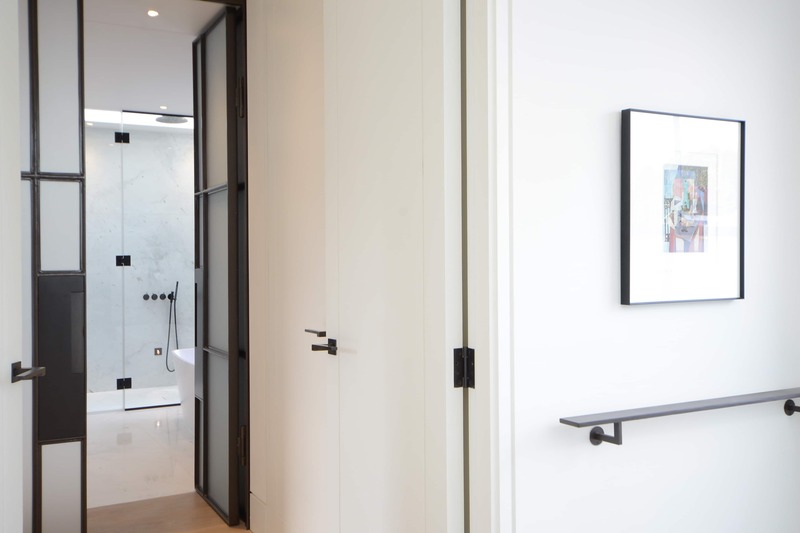 As you can see from the gallery images, the doors featured a minimalist contemporary design with a simple shadow gap detail. 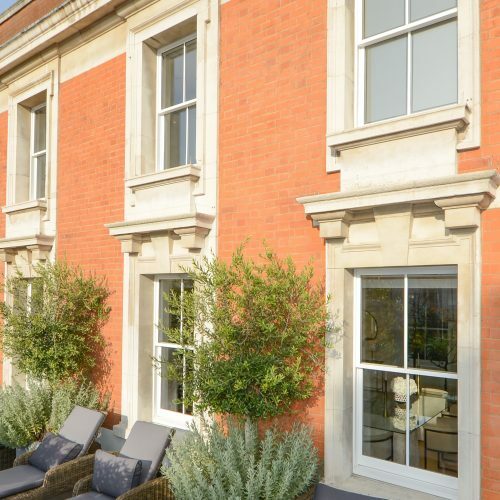 The inclusion of internal fire doors was part of a wider restoration project that included the sensitive replacement of the timber sash windows in this beautiful conservation area property, marrying a traditional exterior with a contemporary interior. 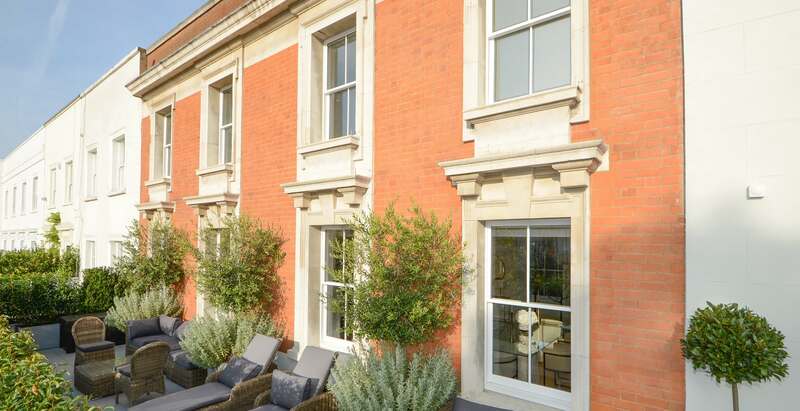 Being in a conservation area, it was vital that the replacement sash windows and front doors were carefully replicated in keeping with the classic Georgian and Victorian architecture of the area. But for the internal doors the design ideas could be more flexible, and a modern, minimalist design was chosen. As period properties can be more vulnerable to fire, we suggested that the internal doors should be fire-rated. Period properties are often several storeys high and the interior doors can lack the modern fire-proofing that’s needed to ensure a property’s inhabitants and their belongings are adequately protected. 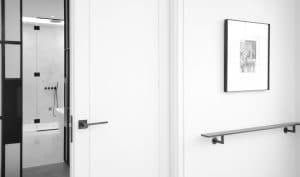 Timbafire fire doors are tested and independently certified under the British Standard for fire resistance to resist fire for 30 or 60 minutes, and are ideal for period properties where fire protection is needed without compromising on elegant design options. Our timber fire doors are made to order in our West London factory, so that they can be made to our clients’ exact specification and offer flexibility of design while ensuring they meet the latest fire regulations. 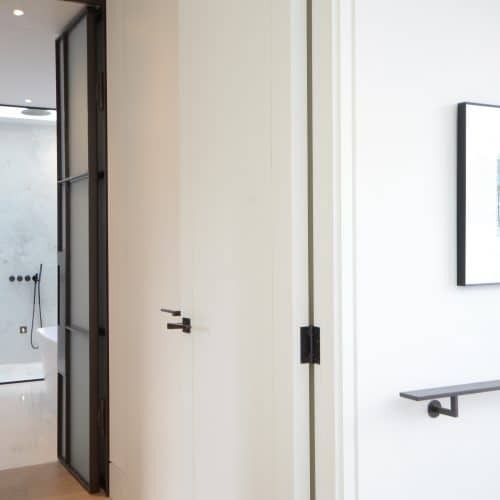 Whether traditional or contemporary, we offer a full range of door designs, panel styles, moulded sections and glazing options, as well as bespoke sizes and oversized doors, and can custom-make timber doors to match the style of any period. 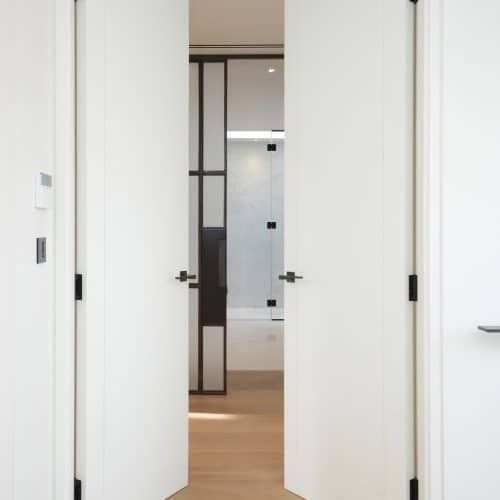 To meet British Standards for fire resistance, we use fireproof, ‘intumescent’ boards and seals within the timber panels, underneath hinges, latches and locks, and around the perimeter of the door (on the frame and/or the door) where necessary. The Timbafire range is part of a wider range of bespoke timber doors and windows. 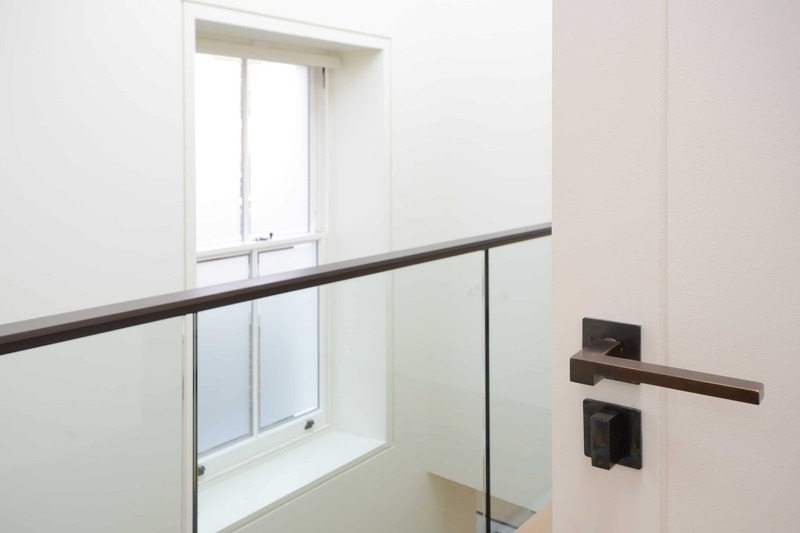 As specialists in windows and doors for period, conservation and listed properties, at Timbawood we have worked on properties in conservation areas and listed buildings in over 30 unique planning authorities including Westminster, Islington, Kensington and Chelsea and Greenwich. To find out more please download our brochure or get in touch to discuss the range of options available or to get a free quote.